Password cracking is the process of recovering passwords from data that has been stored in or transmitted by a computer system.The purpose of password cracking might be to help a user recover a forgotten password , to gain unauthorized access to a system, or as a preventive measure by system administrators to check for easily crackable passwords. What are the Common Methods? Easy Passwords can be sometimes guessed by people. These include most common passwords like The persons name, D.O.B, QWERTY, 123456, etc. Many password cracker use this method to crack passwords. This method involves a software repeatedly trying out different combinations for logging into the system (or account). the attack uses a dictionary file of possible words. This method involves interaction with the slave (or so told yet to be slave). In this method the Hacker asks the person many questions casually in a mindset to make him blurt out his password or atleast give a clue of it. * Using Alphabets , Numerals , Symbols in your passwords. 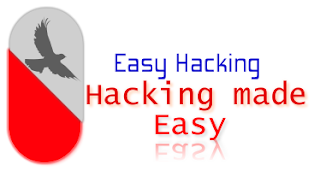 * Encrypting your passwords with Hashes like MD5. * Installing a Captcha to stop bots. These are a just few common methods.